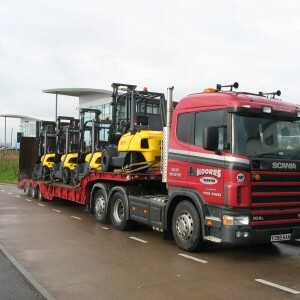 This is an extremely busy part of our business we transport many kinds of machinery and other varied loads including containers, to and from all parts of the South West for local businesses. For the heavier and more difficult load, our low loader is a very useful asset to our company. We transport for our haulage customers and colleagues in the plant industry and very importantly ensure a speedy delivery of our own plant to the next job in hand, cutting out any reliance on a third party. We have a curtain sider lorry to keep loads dry, and is used to deliver animal feed for Harpers Home Mix throughout the South West.